Garai Orthodontic Specialists has been providing pediatric orthodontic dentistry care for over 20 years. A board-certified orthodontist, Dr. Garai’s caring and gentle nature as well as his extensive experience in pediatric orthodontics makes him a leading specialist in the Great Falls and Vienna, VA areas. He has also been rated a top pediatric orthodontist by several local publications including Northern Virginia Magazine and Virginia Living. Every child orthodontics is unique in their growth and development. It is important to catch and correct skeletal issues early to allow the child to grow into the healthiest version of themselves. 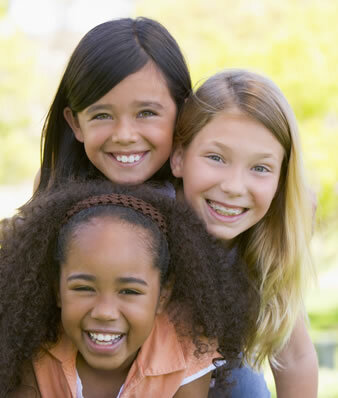 The American Orthodontic Association recommends for children to be seen by an orthodontist by age 7. At the time of your complimentary exam, we take photos, x-rays and conduct a clinical evaluation to determine what pediatric orthodontic treatment is best for your child. Average treatment time for Phase One is 12-18 months but will vary dependent upon your child’s specific needs. Dr. Garai specializes in facial growth modification appliances. Also, you can gain VIP points at every appointment with our VIP Card that you can redeem for gift card incentives. For pediatric braces contact us to set up a COMPLEMENTARY exam.